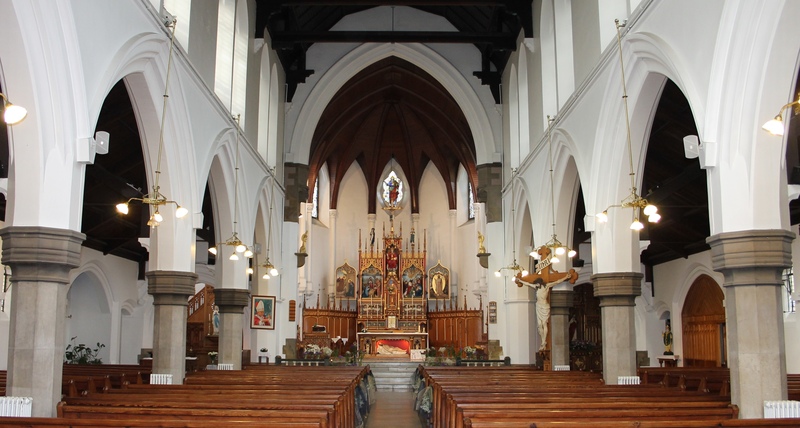 I would like to welcome you to the website of our Catholic parish in the centre of Halifax in West Yorkshire. We are part of the Roman Catholic Diocese of Leeds, and serve a very varied community of people. Our congregation is made up of men, women and children from many parts of the world, and of many different races and cultures, but all are united in belonging to the family of the Church. I hope this website will provide you with some idea of the range of activities going on in the parish at the present day. It will also enable you to keep up to date with information on news and events in the life of our community. This is one of the oldest parishes in our Diocese, and you will find here information on the history of the Faith in this district as well as photographs of our beautiful church. Last but not least, I hope you will find in these pages material and useful links to help you in some small way to know more about the Catholic religion and to deepen your own relationship with God.